But now… this week. Let’s take some time to slow down. Let’s take time to breathe… and enjoy some freebies! Be sure to check back every day this week for a new FREEBIE!!! Oh Come Let us Adore him… let’s take time to remember and realize the King who came as a babe, born to homeless parents in a dirty stable… unknown and unseen. Let’s adore him who gave up the glory of heaven to take on the stench of earth, sin, and death. He did it to rescue us and give us a home in His glory. 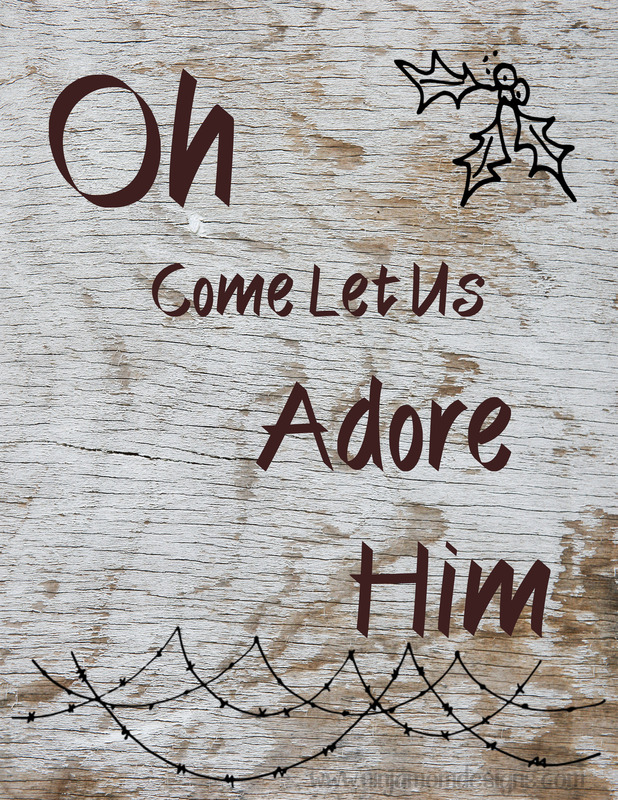 Let us take time to adore him… the babe… the Christ. To save as a JPEG… and image that you can insert into a file and size as you see fit… right click on the image above and click “Save Image As”… then follow the prompts to save to your computer. This is a great way to make planner covers or inserts. Enjoy your Monday! Come back and see me tomorrow for another FREEBIE!!! This is perfect for the week leading up to Christmas…the day of Christ’s birth.